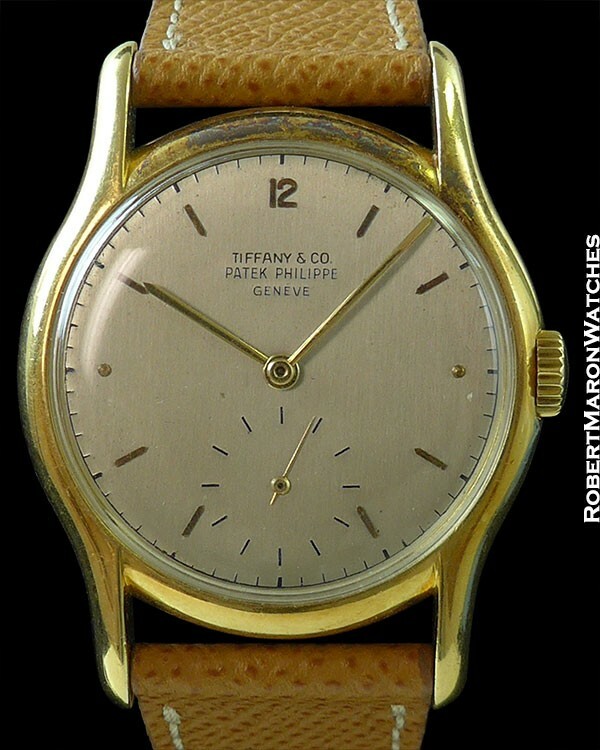 Additional Information Distinguished by the longest lugs in the Calatrava club, measuring 44.5mm end to end, there have only been 15 Patek ref. 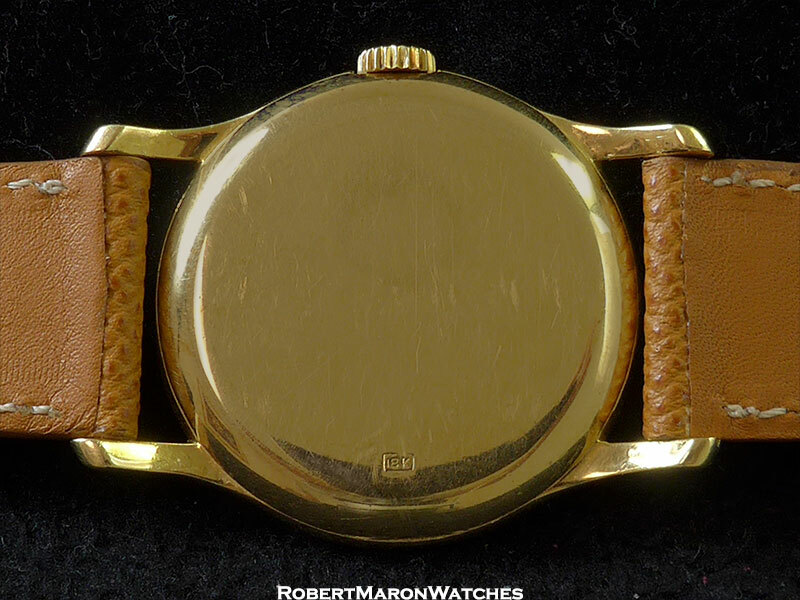 1527s to appear in 18k yellow gold. 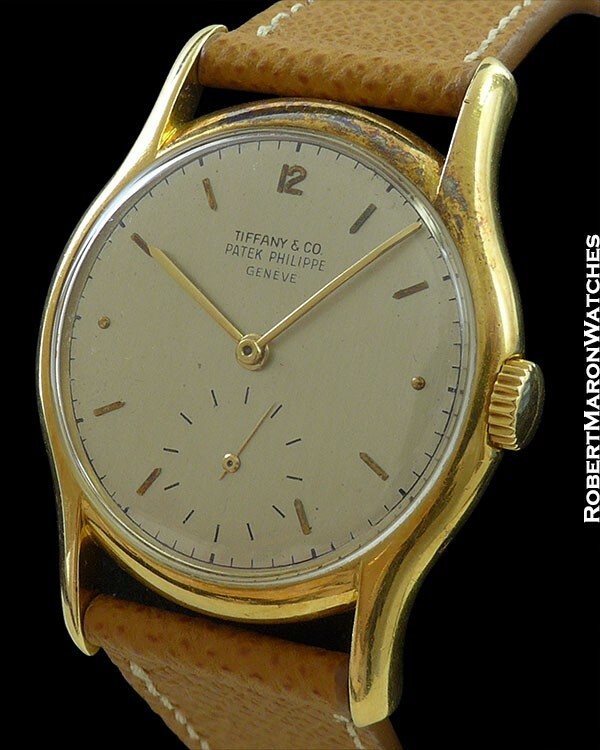 This one from TIFFANY features an unparalleled untouched unique indelible dial and a highly patinated unpolished case. This reference shares its number with both a unique perpetual and unique perpetual Chrono made for the Stern family. Copyright © 1987-2019 Robert Maron Inc.